Here are some terms that you may need definition to during the process of determining if solar is right for you. Click on each of the letter to view the common terms used throughout the site when referring to anything Solar. AC - Alternating Current - a type of electrical current that reverses its direction many times a second at regular intervals, typically used in power supplies. The power your house and appliances consume is AC. An inverter will convert DC to AC electricity. Ampere – Often shortened to “Amp”, a unit of electric current equal to a flow of one coulomb per second. Battery Capacity – The total amount of electrical charge that a battery can deliver. This is measured in ampere hours. Battery Cell – A contained unit that houses at least one positive plate and at least one negative plate, with a divider between the plates, which is of opposite polarity. Battery Energy Capacity – Expressed in Watt hours, the total amount of energy that can be extracted from any given battery unit. Battery Cycle Life - The total number of power cycles that a battery can withstand before it ceases to perform. Battery Inverter - The battery inverter’s purpose is to charge and discharge the electricity stored in a solar battery. Battery Life – The total duration that a battery will continue to perform. Is usually measured in cycles [see above]. Balance of System (BOS) - Aside from the solar panels, it refers to all the additional costs components that together create a solar system. This will includes the preparing of the site [inside and outside], the cost of designing and installing the system and maintenance fees. Cadmium – This chemical is used in the production of some batteries. Cadmium Telluride – A very thin, polycrystalline film that is a used for producing photovoltaic substances. Cell - The basic unit of a battery or a solar module that contains the required materials to produce electricity. Cloud enhancement – Refers to the light that is reflected that increases the solar impact from nearby clouds. Converter – A facility that converts one direct current to another. Cycle – Using all of the battery’s capacity, without specifically fully charging or discharging. 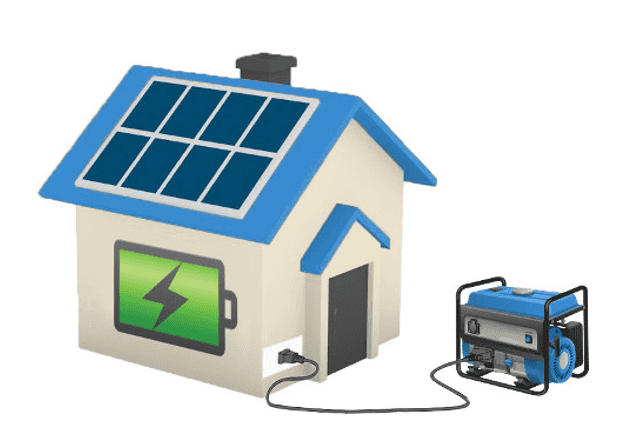 Direct Current – DC – Direct current is the resulting form of energy created from your solar panels. Discharge – The extraction of a battery’s electrical energy. Downtime – Refers to any period that the solar system can produce power. Distribution Network Service Provider – DNSP – The company that owns and operates your local distribution network. Efficiency – For solar panels the higher their efficiency the more sunlight they will convert into electrical energy. Energy Audit – An assessment of the total energy used in a home, with the intention of providing solutions for reducing energy use. Energy Efficient – The more energy efficient something is, the less energy is required to produce one unit of output. Energy Payback – Refers to the amount of time required for a solar system to generate as much energy as is consumed during production and lifetime operation of the system. Feed-in Tariff – If your home or business has solar panels that feed power back to the grid, then there is a payment for that energy. This is also known as a Solar Buy Back Scheme or a Solar Bonus Scheme. The feed in tariff you'll receive per unit of energy varies depending on the state you're in and the retailer you're with. Fixed Tilt Array –An array or solar or PV panels that are arranged at an angle, with respect to the horizontal. Gel Battery – One type of battery that houses a mixture of sulphuric acid and hydrogen, which is compounded into a gel. Hybrid Solar System – An energy storage system that incorporates both the energy power created from solar panels along with a connection to the grid. A Hybrid solar system can store excess energy if battery storage is connected. Incident Light - is the light that reaches the face of a PV or solar module or panel. Inverter - A key element of solar system that converts piece of equipment in a solar system that converts DC electricity to AC electricity. Islanding- Refers to connecting multiple inverters to the grid, with the intention of having them all interact together and maintain power in the instance of a grid power failure. Joule - The metric unit of work or energy. Junction - The area for transition between each of the semi-conductor layers. Junction Box - It's the protected casing on a PV module where the actual PV strings are electrically connected. Kilowatt – A base unit of electricity, which is equal to the total amount of energy consumed at a rate of 1000 joules per second or equal to 1000 units. Kilowatt Hours (kWh) – A measure of energy that equates to 1000 watts energising over the course of an hour. Kilowatt Peak (kWp) – In the regulated scenario of 1000W/m2 irradiance, 25 degree C cell temperature and air mass of 1.5 spectrum equals, the kWp is the unit's maximum electrical output. Lead Acid Battery– A battery with its plates made from lead calcium which has been submerged in an acid electrolyte or pure lead. Load Current– The current required to power the electrical device. Load –The total amount of electrical power being consumed, on average, over a specified time period. Maintenance Free Battery – A battery that is sealed to prevent water from being added, to maintain its electrolyte level. Module –An covered panel that contains numerous electrically connected PV cells. MW – 1 million watts. Nickel Cadmium Battery – A battery containing an alkaline electrolyte, cadmium and nickel. Orientation – The position of a PV/solar panel in respect to the referential directions of north, south, east and west. PPA – A Power Purchase Agreement (PPA) is a financial arrangement that allows for a solar installation company to install a solar PV system, domestic or commercial, for free and then sell you back the power generated at a lower price than you would pay from your energy provider. PV – Photovoltaic is the creation of energy by the collection of direct sunlight. PV Array – Refers to the cluster of solar panels found on a roof or related structure. Qualification Testing– The methodology of testing the maximum capacity of PV modules in relation to thermal stress, electrical and mechanical. Quartz Sand–The raw material required when making metallurgic silicon. Renewable Energy Certifcates (RECs) – Available to those homes and businesses that have purchased and installed qualified solar and wind power systems in form of cash back on your purchase by selling them back to you installer, who will then receive the money. This can be included in your total package price. Also know as STC's and LGC's. Renewable Energy Target (RET) – The advent of financial incentives geared towards investment in renewable energy sources through the sales of RECs, with the intention of sourcing 20% of Australia’s electricity by 2020 from renewable sources. Reserve Capacity– A central power system's total amount of generating capacity, which must be maintained in order to the meet peak loads. Roof Slope –The exact angle of a roof that has a horizontal surface. Roofs with a slope between 20 and 50 degrees are best suited for a solar/PV system. Solar Energy – The energy that is collected from the sun’s heat and light that using new technologies like solar heating and artificial photosynthesis. Solar Cell – Also known as a photovoltaic cell. This is an electrical unit that will convert direct sunlight's energy into electricity by a chemical and physical phenomenon known as the photovoltaic effect. 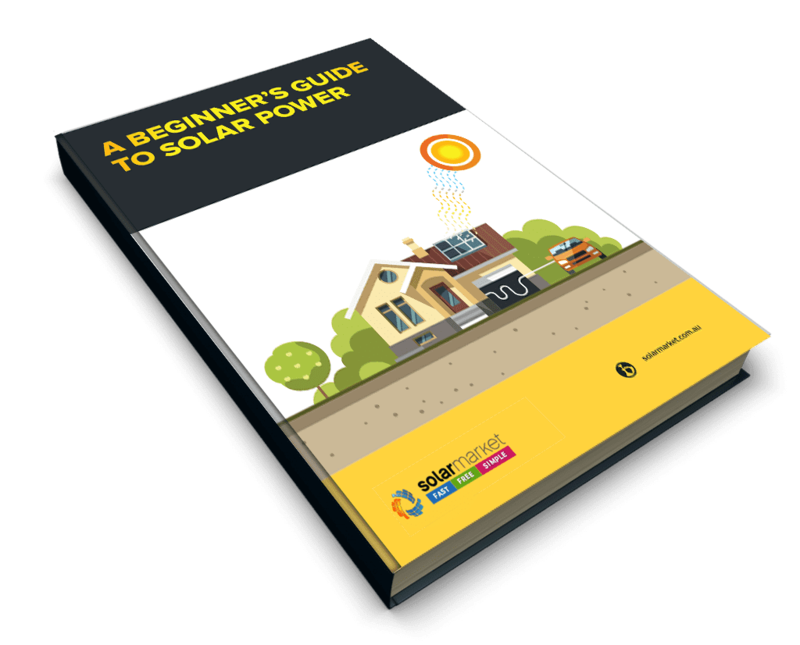 Solar System – Also known as a Solar PV System, is a made of several devices, working together to convert energy harnessed from the sun into electricity. The devices include solar panels, an inverter and various mounts and cables. Solar Panel – A unit that has been created with the specific intention of harnessing the sun’s rays as an alternate source of energy. Strings – The total number of PV panels in a solar system that are electrically connected, in order to create the operating voltage required. Subsystem – Can apply to any number of components that make up a solar/PV system. Tilt Angle – Measured from the horizontal, it’s a solar module’s angle of inclination. Tracker – Any unit that directs an array of solar panels or PV Array, towards the sun. Textured Solar Cell – Is a solar/ PV cell that's surface has been chemically or mechanically re-structured. Triple Solar Cell –This is a solar cell , that is stacked and covers three different ranges from the solar spectrum. Utility-interactive Inverter – This inverter only works when successfully connected to the utility grid along with an output frequency that is in sync with the utility power. Ultraviolet – In the wavelength range of 4 to 400 nanometers, it's the electromagnetic radiation found. VAC - Volts Alternating Current. Vented Cell –This is a type of battery that includes a vent mechanism , which will expel any gases that are created during charging process. Watt – Refers to the unit of electricity consumed by an appliance. Watt Peak – The maximum output from a module, PV generator or cell under any standard and regulates test conditions. Wet Shelf Life –Refers to the time period that a charged battery, when filled with electrolyte, can remain unused before dropping below a specified level of performance. Zenith Angle – The angle between a line through the sun and directly overhead.